You might think that every blog theme is the same. 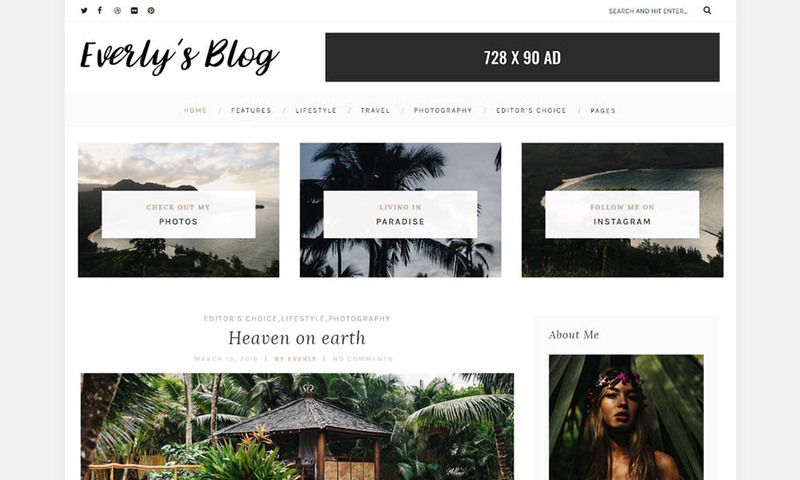 Well, it is not always the case and Everly Lite is a free WordPress theme that will prove you wrong. Not only does it feature a clean, modern and super minimal design, it is also focused towards putting the shine on your content first. That is exactly what you want when you are to create a blog which you would like to fully dedicate to publishing masterpieces of articles. Pictures and text will stand out and take every single one of your readers on an amazing expedition through the astonishing world you are writing about. Either with the default or the grid layout, both of them will help you highlight the one single thing that all of your readers are after the most: staggering content.